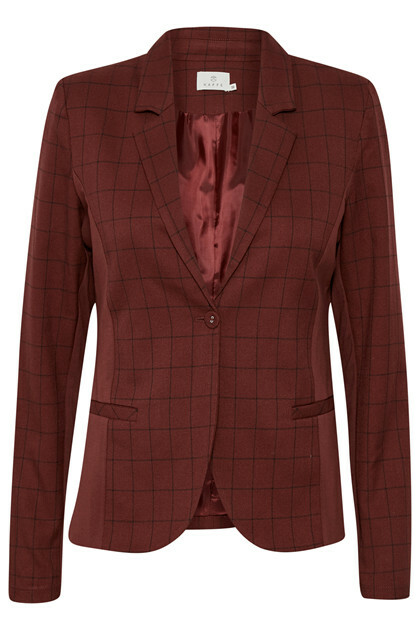 Well-designed and smart blazer with shoulder pads. 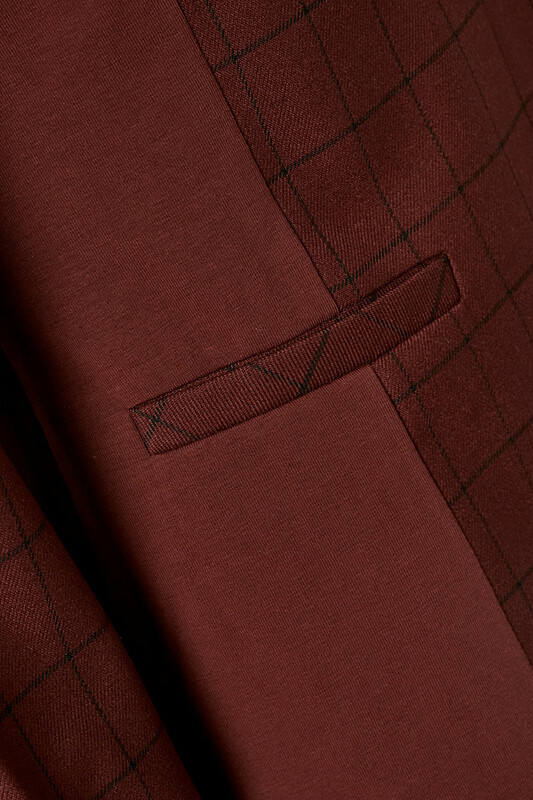 The blazer has a regular fit, jetted pockets and button fastener at the front. This blazer has a nice checkered pattern, which is combined and blended in the style of non-patterned material. It provides a really cool combination and forms a stylish and elegant look.